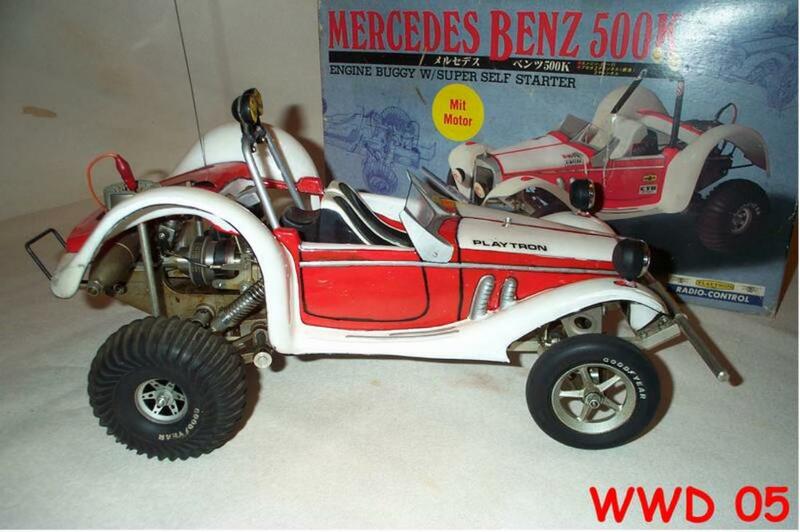 Mercedes 500K Playtron (Multiplex) self starter buggy complete and ready to run! All the info about this car are present in my 'project' area. 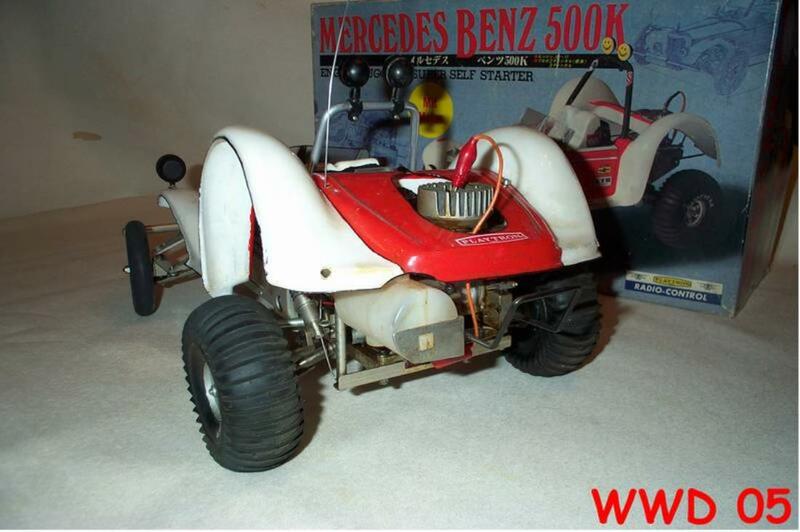 I got this from my German friend Mike and it's ready to run and complete, just need a little clean. Never saw a better one especially with a body in that shape. NOTE: Anyone that need help/advice about this car or just have something related with it feel free to email me, i'm always available. I can also help with spares. Those rear arches! What kind of wheel travel are they expecting? Interesting car! Never seen a stranger car like this one. can't tell like it or not, but it's absolutely rare! Super car!! Nice paint, great looking mechanicals. I would rate this as the nicest one I have seen as well. Now I am inspired to finish my Arizona! Bravo!! 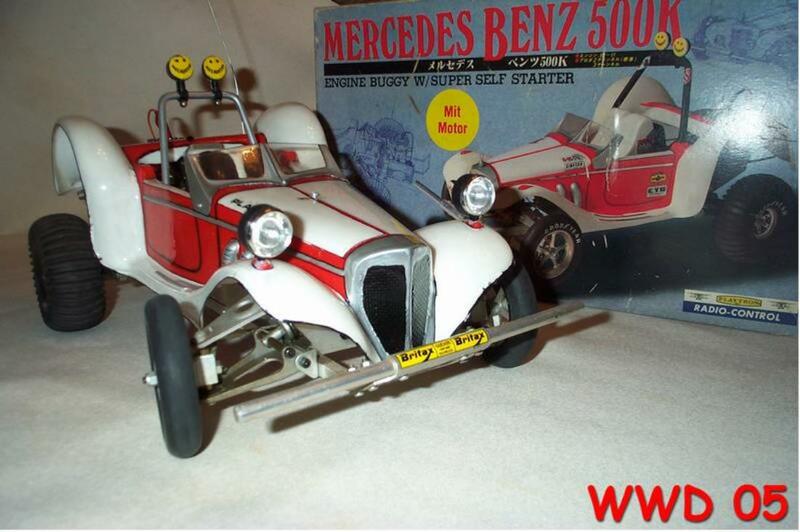 I am restoring a multiplex mercedes playtron. Had the luck 2 pieces on ebay to bid. I made one of them. I'm almost done. It took me many hours to clean it up. To polish the aluminum parts etc. The gearbox is in very good condition, only had to be cleaned and greased. The starter was also not in good condition. But he works again, with a lot of grease. The engine was in a very bad condition. He was completely hardened but original. It took me about 4 hours to clean and polish in and repair. 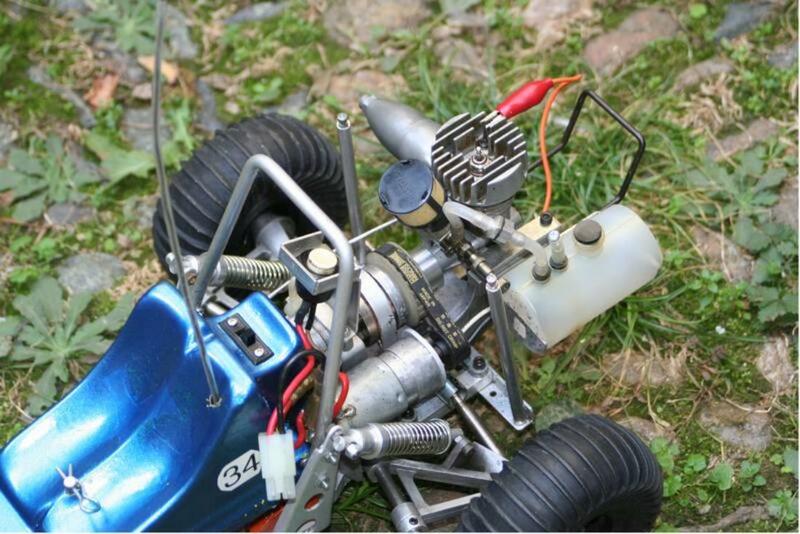 The carburetor was not easy to clean, in the small holes and the nozzles has been down with hartz. Well, yesterday I brought the engine back to life for the first time, it runs very well. 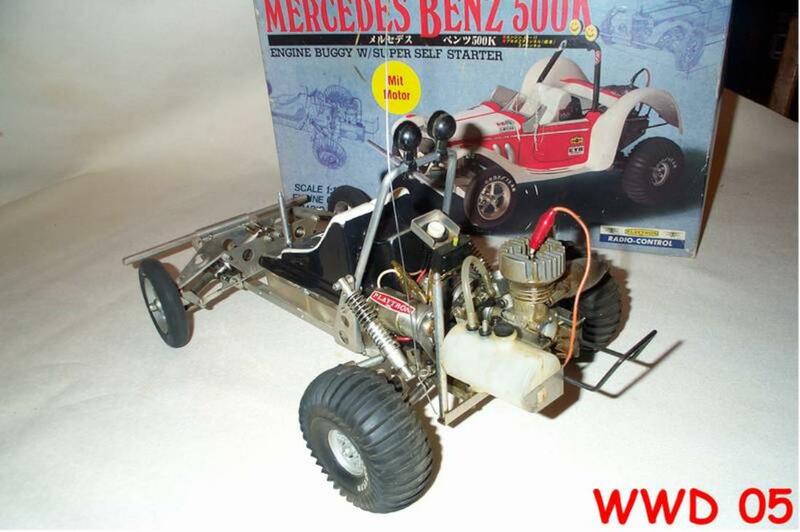 I have now developed a starter electronics and installed, now you can start the Mercedes from the remote control. For this I have developed a lighting system with an Arduino. I have 2 front headlights built in turn signals rear and front brake lights and roof lights. The headlights can be switched on via the fourth channel, the headlights have received a xenon simulation. if you quickly full throttle, then make the roof lights light horn. Then I developed a rc soundbox. It plays a horn over the third channel. When I'm done then I put a video in YouTube.